Add the Internet to Your Marketing Arsenal — Guerrilla Style! 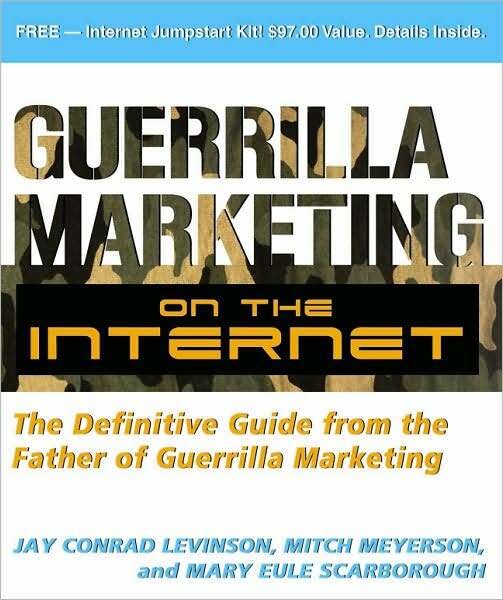 The Father of Guerrilla Marketing, Jay Conrad Levinson, changed marketing forever when he unleashed his original arsenal of marketing tactics for surviving the advertising jungle on a shoestring budget. His Guerrilla concepts have influenced marketing so much that today his books appear in 37 languages and are required reading in many MBA programs worldwide. And now, Jay Conrad Levinson and online marketing masters Mitch Meyerson and Mary Eule Scarborough once again show you how to beat the odds by combining the unconventional, take-no-prisoners Guerrilla Marketing approach with today's ultimate marketing weapon — Guerrilla Marketing on the Internet. Learn how to use the internet Guerrilla style. Level the playing field, and achieve greater online visibility. Boost traffic to your website. Convert visitors into paying clients. Capture and keep your market share, and create multiple income streams — all while saving time and money! Jay Conrad Levinson is the author of more than 30 Guerrilla Marketing books as well as 24 other business books.